Nutritional. Good Taste. Goes Down Easy. Good Value. Simple To Take. Produces Results. nutritionally important. Daily Use. Women. Older People. Living alone I don't cook much and at 85 teeth aren't very good so this is a good meal replacement. Great product even bettet price! Nutritional. Good Value. Good Taste. Nutritional. Good Taste. Goes Down Easy. Good Value. Simple To Take. Produces Results. Acts Quickly. Women. Men. Older People. Daily Use. Short-Term Solution. 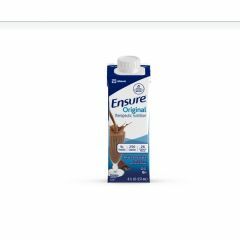 I use the Ensure as a meal replacement. Good Taste. Simple To Take. Produces Results. Acts Quickly. where can I buy it in powder form? how can i use ensure supplement for weight loss purpose?